A wonderful property looking for it's new owner. Mobile home features 3 bedrooms, 2 newly remodeled bathrooms and a wonderful floor plan. Call today to look at this home. Off California st, East on overpass, North on Frontage rd, Right on Mesquite, slight right over canal, property on left side of road. 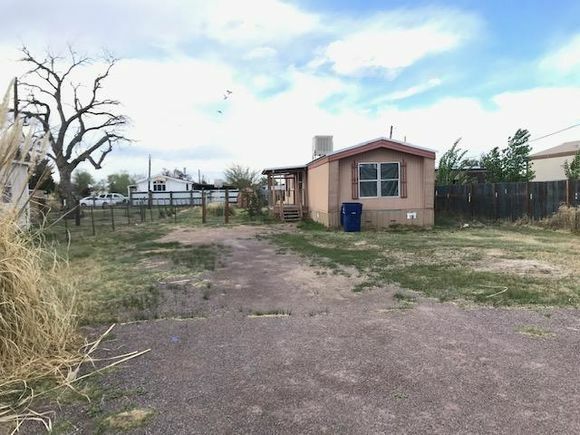 The details on 603 Hefner: This house located in Socorro, NM 87801 is currently for sale for $35,000. 603 Hefner is a 1,120 square foot house with 3 beds and 2 baths that has been on Estately for 8 days. This house is in the attendance area of Socorro High School. Listing Courtesy of: SWMLS and Home & Country Realty.